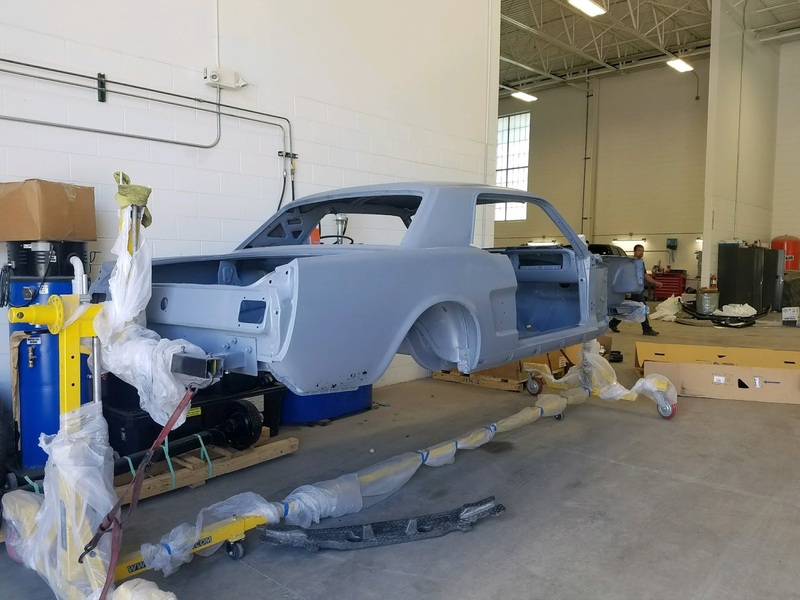 We were fortunate enough to be able to help out Brighton High School’s Auto Shop Class with the use of our facility to prime their '66 Mustang last weekend! 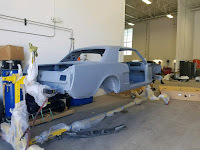 Unfortunately they don’t have a full paint booth at Brighton High School and they wanted to get their project Mustang protected for the summer, so they turned to Brighton Ford. Brighton Ford’s award winning Body Shop has state-of-the-art paint booths perfect for their project, so the Ford dealership located at I-96 and Grand River in Brighton invited the class to use their facility. Four Brighton High School students and their instructor were able to make it to the Brighton Ford Collision Center to prime the classic Mustang. Just take a look at how great the primer turned out on the 1966 Ford Mustang!